A dietary supplements that aids in boosting natural collagen production for healthy hair, skin, and nails. 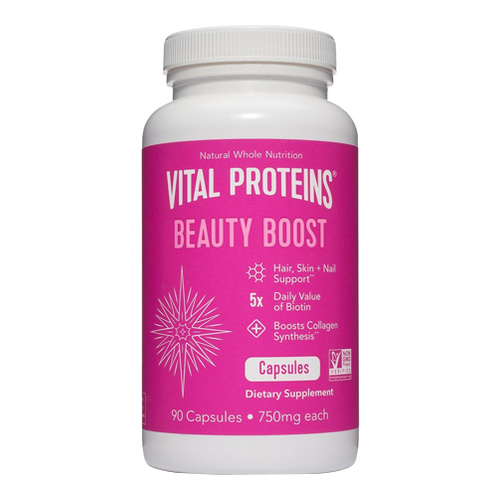 Vital Proteins’ Beauty Boost is rich in Biotin and Vitamin C to help boost your body’s natural production of collagen, as well as B6 and Selenium for added hair, skin and nail beauty benefits. The Beauty Boost helps support youthful skin, healthier hair, and stronger nails so you can feel your best from the inside out!